Due to holiday season, I wasn't able to post for couple of days. I was extremely busy with Christmas, preparing and wrapping the presents. It's wonderful celebrating the birth of Jesus Christ. I'm so blessed with my loving family and friends, never asked anything this year, but I received good stuffs. It always fun watching my kid opening their presents. Their anticipation of what inside the box, their ohhh! and ahhhh!! This is why I love Christmas!! 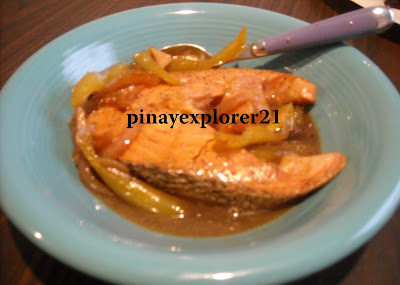 So, this morning I feel little tired, so I decided to make "Salmon Paksiw " I wasn't sure how this thing gonna turn out cause, I never tried this before, specially with Salmon, but HEY!! It work out really good. Super delicious. 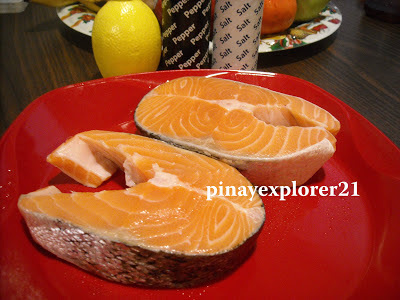 I highly recommend this for those who like "salmon" and like "paksiw" at the same time. : I'll show you how easy it is to make this and it takes no time at all, very quick! 1.) Combine equal part of soy sauce, vinegar and little lemon. Set aside; Meanwhile chopped all the veggies put in the skillet and add little water. 2.) 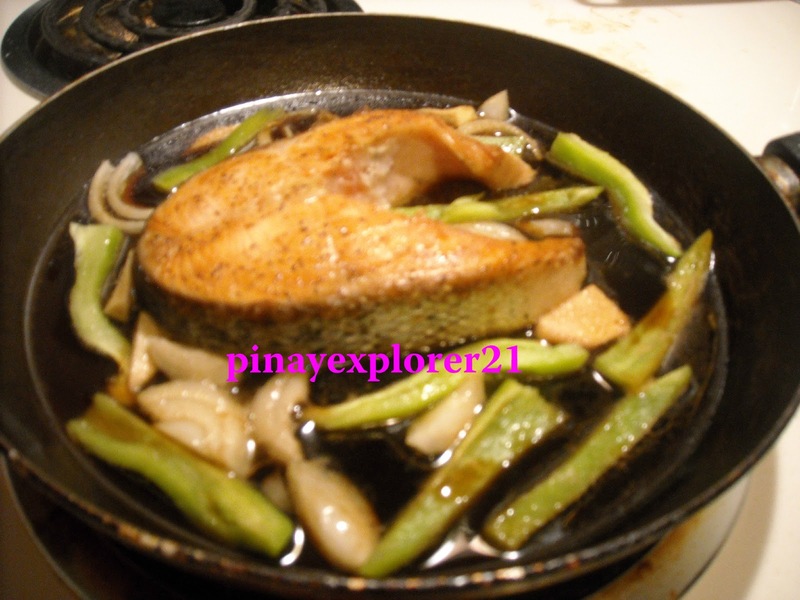 Add the Salmon and the sauce in the skillet. Let it cook. 3.) Salt n Pepper to taste and serve it with rice. Thank you so much for making this Christmas the best! I love you all:) wink..
What a perfect meal to end the weekend. It's Sunday and I'm off. So, I have all day to make my family some good breakfast. So, I made them their favorite, Potato Hash with diced Ham, I love this meal its very yummy and fulfilling. It's my husband favorite breakfast so I was really inspired making it, secret ingredient to make it so tasty is " LOVE" I'll promise you, It works like magic... Whoala! very delicious meal indeed. I'll show you how easy it is to make this scrumptious breakfast. 1.) Put oil on the pan. Add the onion and saute. Slowly add the slice potato and let it cook. 2.) Add the diced ham, salt and pepper to taste and let it cook. 4.) 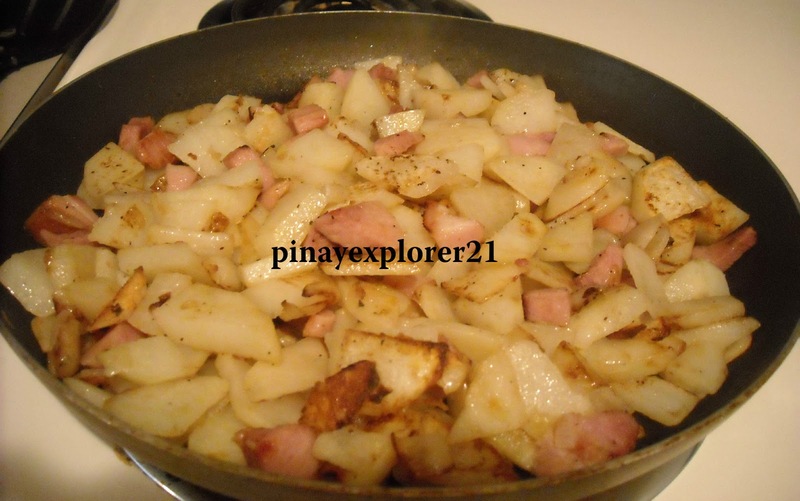 Cook the eggs in the same pan, add the cooked potato. Serve it hot with shredded cheese on top. Enjoy! 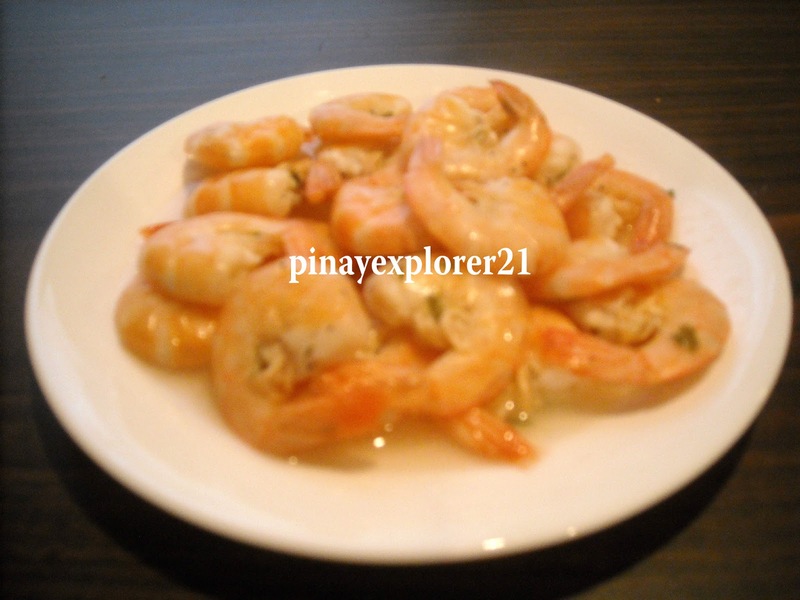 Shrimp is one of my favorite seafood, I like to cook in different way I could, this time I'd like to keep it simple and short, As I would say " simplest flavor is the best"
1. 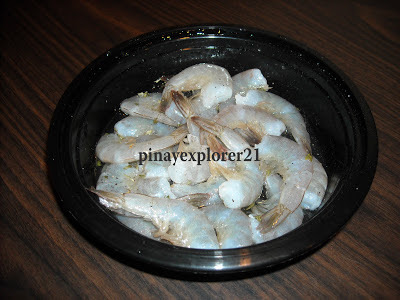 )Combine all the ingredients, toss and saute on top of stove until shrimp are cooked. 2.) 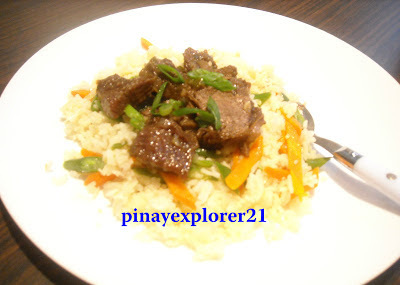 Stir with spatula and serve with rice. Just remember when the shrimp turn letter "C" and the color change into orange, It means its COOK! Shrimp doesn't take long to cook I would between 3-6 minutes depend how much shrimp you're cooking. I'll call it Pansit on the Plate! simply because its fast and you can have it in your plate less than 30 minutes. It's also perfect for potluck party, any special occasion you can think of and whenever cravings strike..
Notes: I use vegetables I have on hand, So feel free to use whatever you like. Cabbage, peppers, green onion and much more. Tips: I cook the noodles according to the package but I took it out after 2 minutes in boiling water. It will continue cooking after along with the chicken and vegetables. 1.) Heat oil in the skillet until hot, add the chicken and saute until golden brown. 2.) Add the vegetables, let it simmer for 5-10 minutes depending how you like your vegetables cook. 3.) 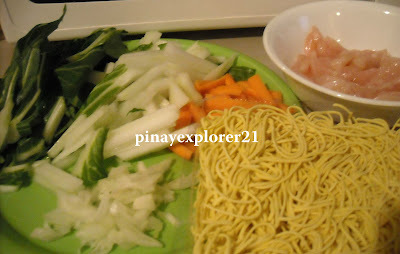 Add the cooked noodles, mix it well. 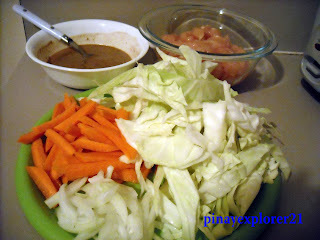 Stir in soy sauce, sugar, salt and pepper and little water. Let it simmer for 2 minutes. 4.) Stir well and taste. Serve it with rice, bread or just Pansit Canton on the plate. 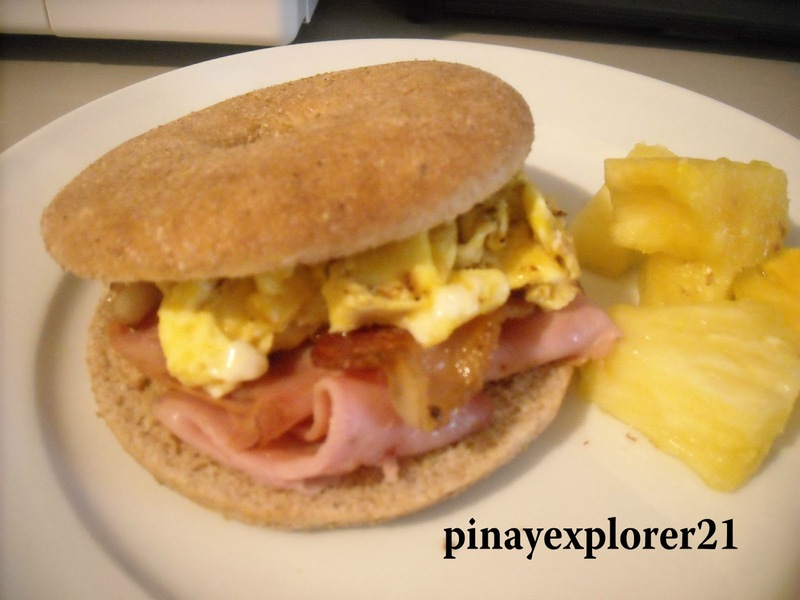 It's the end of the weekend and why not start my breakfast with this fast and easy, ("BEH-fast"- Bacon, Egg and Ham sandwich) over this super thin wheat bagel which by the way, I love! Trying new food excites me and eating this sandwich for breakfast just great addition to start this day with SMILE! yeah that's right it makes me happy not only I like this food but my family enjoyed eating it as-well. Surprise your loveone's with this "BEH-fast sandwich" I'm pretty sure they gonna appreciate the time and effort you put into making it. It's very easy process!! 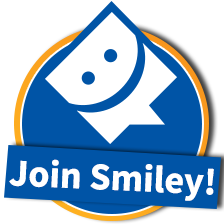 let's have some fun making food and learn new things at the same time. All you have to do is cook the bacon, ham and the eggs. Tips: Add little milk into the egg and cook it slow and low and you have perfect egg every time. "This is my cookie tray this year, I loved it"
December 2008, I was first introduced to this " Cookie Making Day" As I would say, because my family gathered together shared their cookie recipes, and make cookies all day long. Sounds very appetizing isn't it? Yup!! since then I was totally hooked. 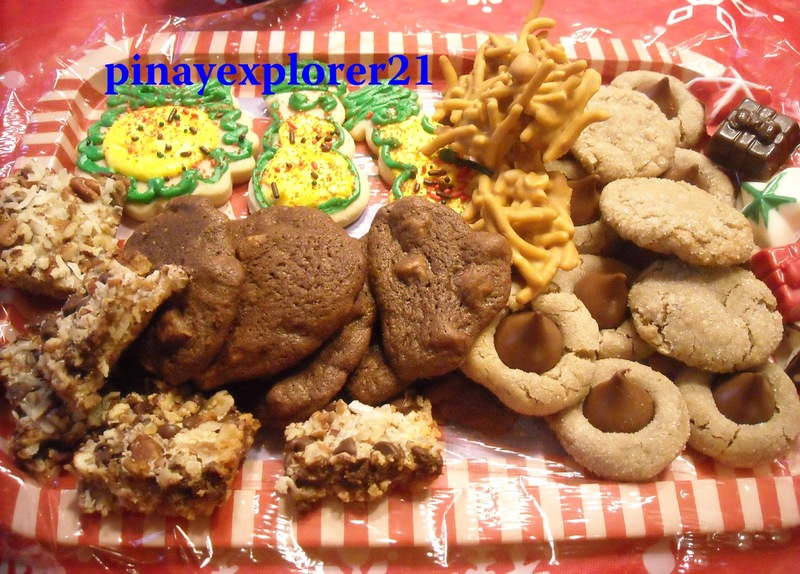 I always look forward every December to make cookies with my family. The most FUN part for me are the rolling of the cookie dough and decorating of merry makers, Everyone love this part, especially the kids they just go crazy with the icing and sprinkles.. 1.) Cream together shortening and peanut butter. Add the granulated sugar and brown sugar and cream well. 4.) Shape into small balls. Roll in sugar. Place on greased baking sheet. 5.) Bake at 375 for 8 minutes. Remove from the oven. Put the Hershey Kisses on top of each cookies press down little bit. 6.) Return to oven, bake for 2-5 minutes. 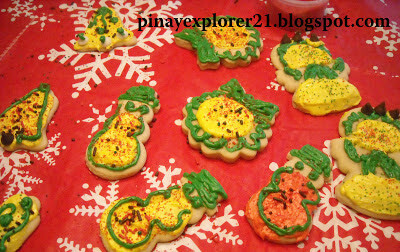 Here's more cookie creation we made this year. 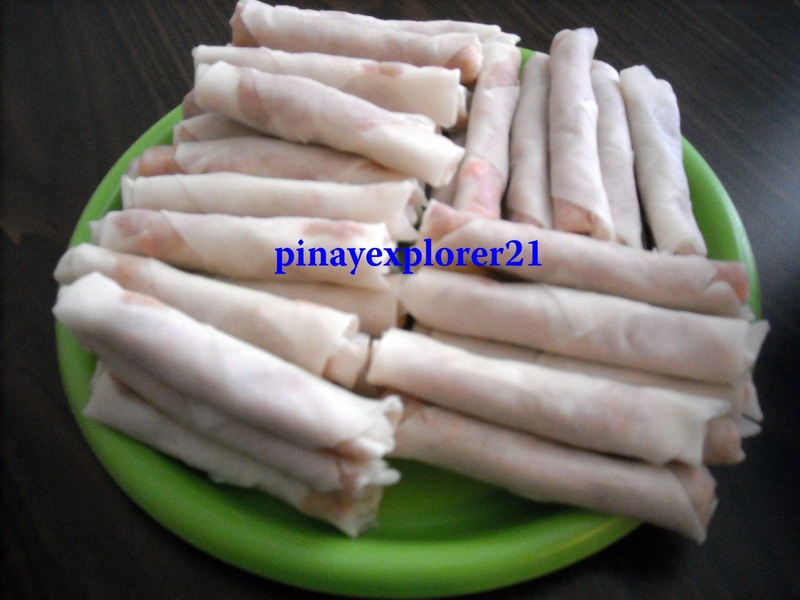 I love Lumpia, this is like a tradition to us, that every Christmas and New Year's. 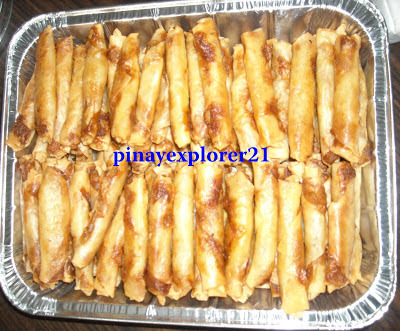 We always have Lumpia on our table.This is very popular dish in the Philippines, as being "popular" there's a tons of recipes on how to make this dish, In our family we keep it simple. What makes it differ among the rest is the secret recipe I called " LOVE" the process of making it is very time consuming, specially if this is your first try. Once you practice it many times, you can do it in no time. Once you taste it, you gonna keep coming back for more! 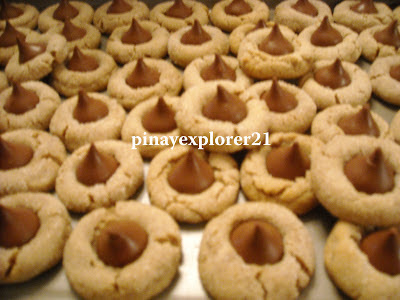 !I'll make it so simple yet so tasty just like how my Mom make when I was a little kid. Perfect for family dinner, potluck party and special occasion. I'll show you how I make my version of Lumpia shanghai. 1) Thaw the Lumpia wrapper ( find it at frozen section in any asian store) before using it. Tip: Put it on microwave for 5 seconds. It's easy to remove the wrapper when its warm. 2) Put enough filling on the center of the wrapper. Fold the two end, and start rolling. 3) Put little water at the tip of the wrapper to seal the Lumpia. Tip: Don't over crowd the fryer if you want crispy Lumpia. 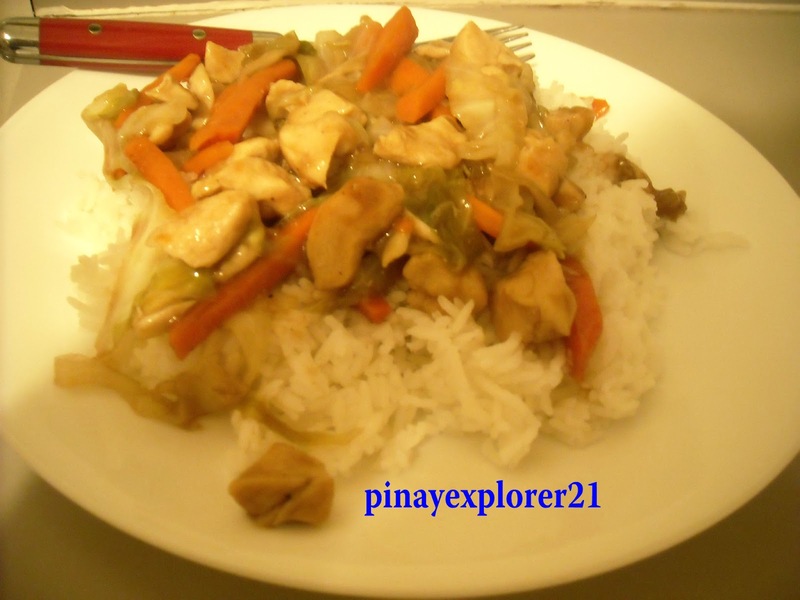 2) Serve it with chilli sweet and sour sauce. 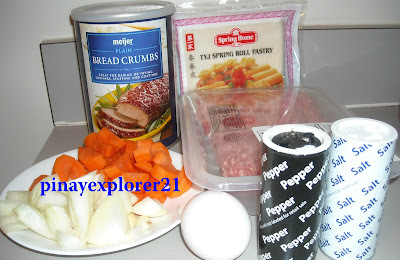 1.Pour the water and beef in a pot and bring to a boil until the meat is tender. 2. Remove the tender meat from the pot and let it cool. Set the remaining stock aside. 3. Put oil in a pan, saute the onion, garlic and ginger. Add the beef and saute for couple minutes. 4. Add the soy sauce, stock and beef cube. Stir bring to a boil. Add the sugar. 5. Salt and Pepper to taste. Simmer until the sauce is thicken. 6. Garnish with scallions on top and serve with Garlic Fried Rice. Have you tried something different lately? 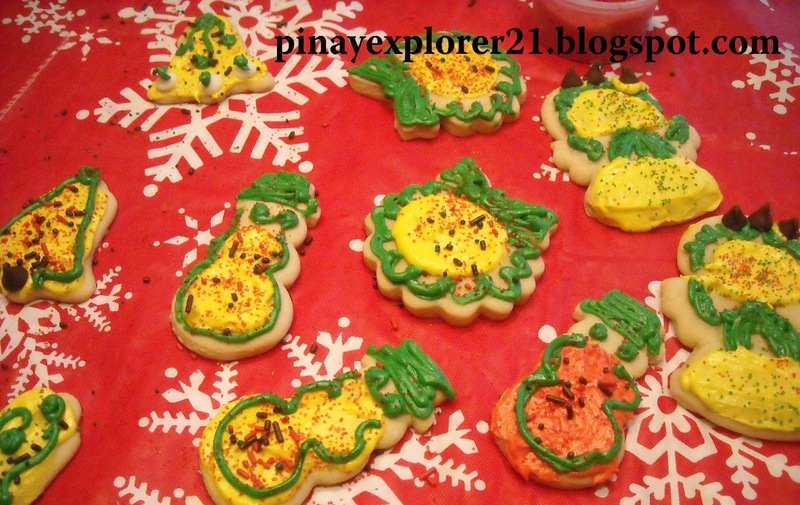 I suggest try this Squash Maja Recipe courtesy from my friend Sandy. I personally haven't tried this one yet but it sounds so tasty. Clever idea to put healthy ingredient in very familiar delightful snack. I'll post picture and keep you updated on how this recipe work out. In a saucepan, combine all ingredients except margarine. Mix well and allow to boil. Stir lightly to prevent scorching. Add margarine when mixture becomes thick and transparent. Pour the mixture into desired mold. Allow to cool. Refrigerate and serve cold. 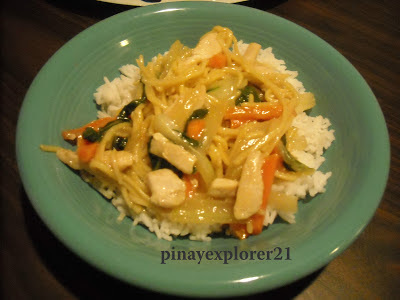 My inspiration behind the making of Chicken Stir Fry is my craving for chinese take out dinner. They're very easy, fast and delicious! I just add all my favorite vegetables and make the sauce that fits on my family's taste buds. I was surprised how yummy it is, I would say it's pretty close to chinese take out I've been craving for two days..hahaha! 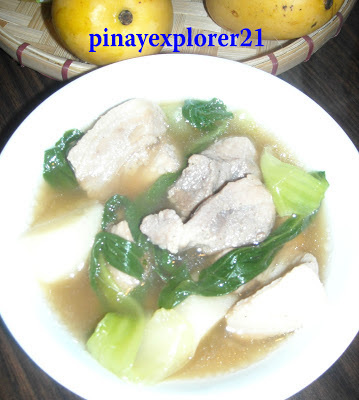 My family loved it, perfect pair for steamy hot white rice.. Whoala! dinner in no time!!. soy sauce, sugar, orange juice and water. Tips: Taste the sauce as you go depend on how you like it, I like mine little sweet so I add little sugar. 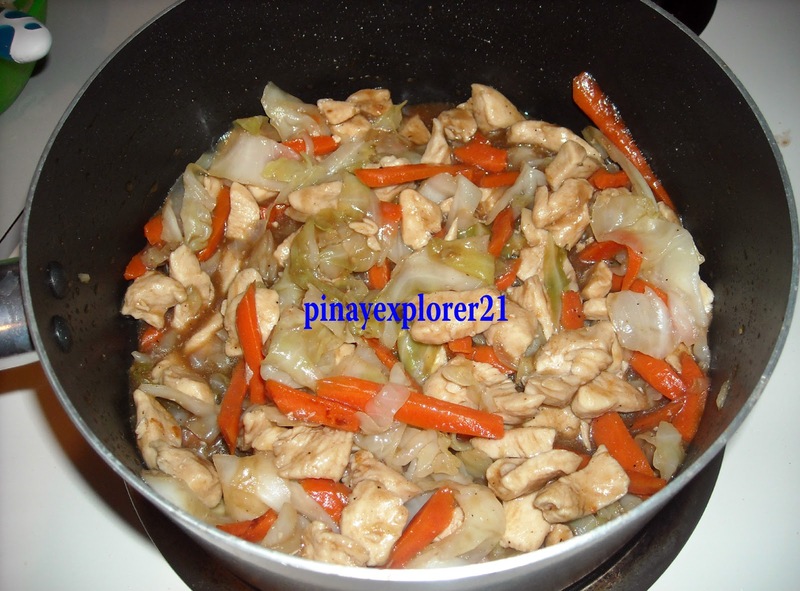 1) Heat oil in skillet until hot, add the chicken and saute until golden brown. 3.) Stir in sauce mixture until its thicken. Let it set for couple minutes. 4.) Serve it with rice. When I was a kid, I always hear this song; 12 Days of Christmas playing in the radio starting on the month of September, since then it become one my favorite Christmas song. So this homemade card was inspired by the christmas song that I love when I was a little kid, This very thoughtful card is for my husband. I guess I have too much time on my hand, and too much time to broaden my imagination hahahha. It's just ME!! I just love doing something that makes my loveones's happy. It's very inexpensive yet so thoughtful gift, you could ever give to someone during this holiday season. 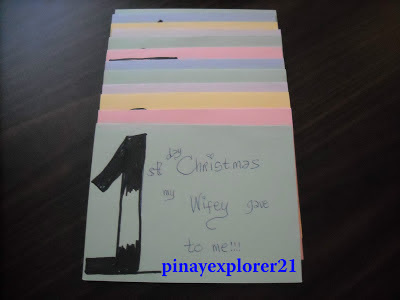 I might not have the most expensive gift but I have the time to make them a homemade card... wink:). 1) Fold the paper into half. 2) After folding in half, cut it 1/2 then fold it one more time. 3) This time all the work is pretty much DONE. 4) Write big numbers on the left side of the card. On my card, It goes this way!just like the Christmas song the only different is I change the name to Wifey. and so on and so fort until the 12th day. I like making this kind of stuff, simple gesture remind him, how lucky and blessed I am to be his wife. On this Christmas, I couldn't ask for more.. Just being with my family is ENOUGH. Happy holidays everyone! 1.) Put water, pork,ginger in large pot and let boil for 45 minutes until meat is tender. 2.) Add bokchoy and green onion. Salt and Pepper to taste. Let it simmer for 5 minutes. 3.) Serve it while it hot!